Osaka’s retro-yet-modern vibe gives it the feel of a cult 80s movie set in the future. 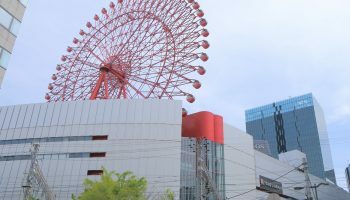 Images of the kaleidoscope of neon that lines Dotonbori canal in the downtown Namba district contrast with the postcard fame of Osaka castle, while the landmark Umeda Sky Building signals a new era. As a center of Japanese subculture music and fashion, Osaka is a city that marches to the beat of its own funky drum. Explore Shinsekai, a pre-war neighbourhood that was created with New York as a model for its southern half and Paris for its northern half. Japan’s third-largest city, it’s also one of its tastiest – food is a big and proud part of Osakan’s identity who are reputed to spend more on food than anything else. It’s an important part of the Osaka experience to ‘kuidaore’, or eat until you drop, and there’s an enormous variety of local foods to choose from. 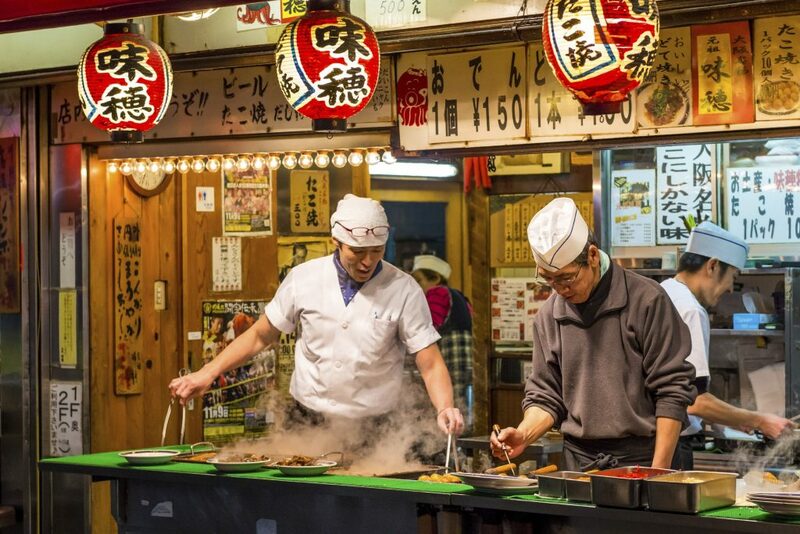 Takoyaki and okonomiyaki are the most famous dishes to try, while there’s also kushikatsu, teppanyaki, kitsune udon, as well as the city’s own versions of ramen and kaiseki cuisine. Eat till you drop and then some more. 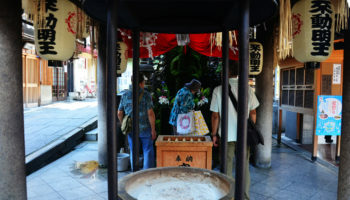 Osaka can be divided into two main areas; the uptown Kita in the north and the downtown Minami to the south which roughly equate to day and night in the city. 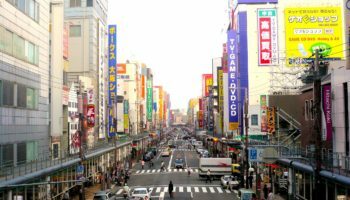 Kita is where you’ll find the central station and business, commercial and retail hub of Umeda. 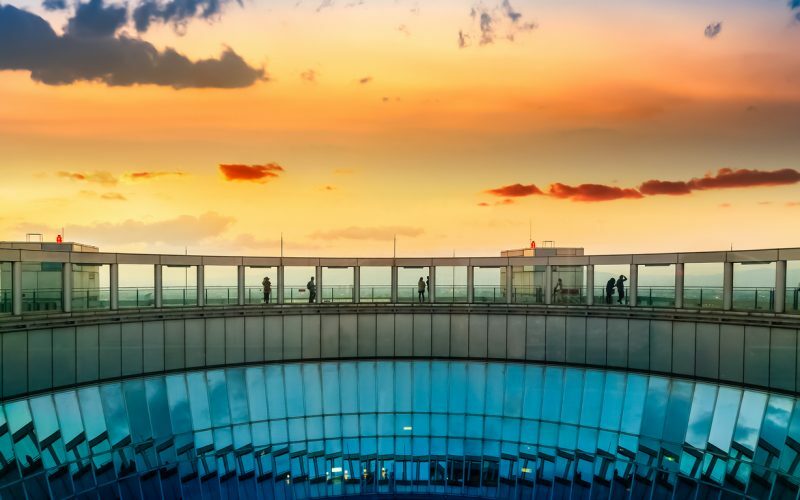 Head to the Floating Garden Observatory on the 39th floor of the Umeda Sky Building for some spectacular views of the city’s skyline. 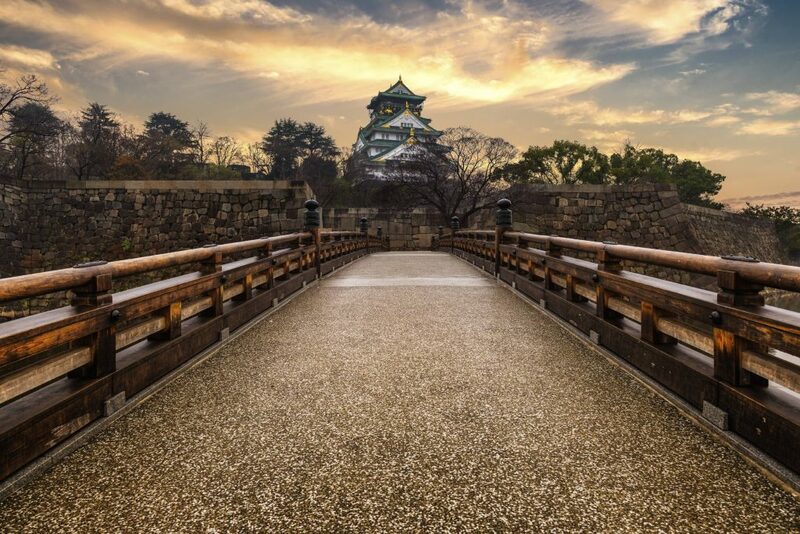 Visit the landmark Osaka castle for a glimpse into the city’s feudal past. 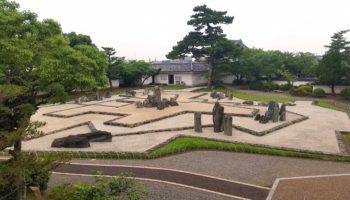 History fans should stop by Osaka castle which houses an interesting museum inside the main keep. Spend some time around the Shinsaibashi Shopping Arcade, Den Den Town, Shinsekai and hub of youth counter-culture Amerikamura to witness how WWII shaped the city. 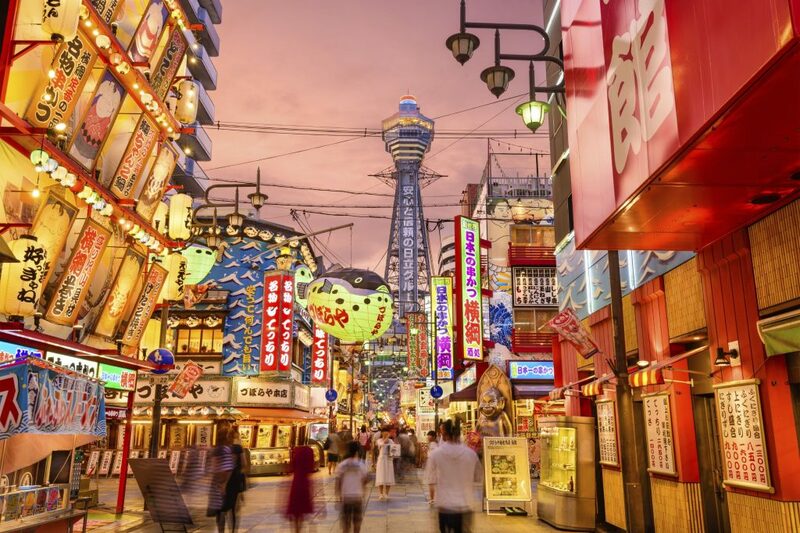 When the sun sets, it’s time to explore the infamous Namba district and the 24-hour eating and entertainment along Dotonbori. This is where you’ll find the giant crabs and other creatures robotically waving from the sides of buildings which only makes the whole neon arcade trippier than it already is. 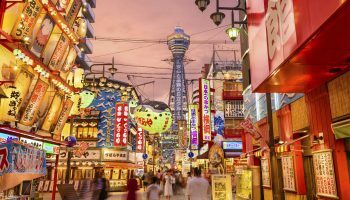 Japan’s only Universal Studios is in the Osaka Bay area, a conglomeration of man-made islands, as is the impressive Osaka Aquarium. Both are enormously popular during the holidays but are great places to take kids, especially if you need a break from the intensity of the city center. Osaka is connected to several major cities across Japan by the extensive bullet train (shinkansen) network. The gateway station is JR Shin-Osaka, from where you can take the train or subway to Osaka station in the central Umeda district of the city. From Tokyo, it takes about 2 and a half hours to reach Shin-Osaka via the Tokaido shinkansen. Highway bus routes operate between major cities in Japan and offer a cheaper alternative for long distance travel to the bullet train. There are several major bus terminals spread throughout the city, including ones at Shin-Osaka and Osaka stations. If you’re arriving by plane to either Kansai International Airport or Osaka-Itami Airport (domestic only), you can catch a bus, taxi or rent a car to the city, although driving is not recommended for major cities in Japan. Kansai International is about 50 minutes to the center while coming from Osaka-Itami should take approximately 30 minutes. 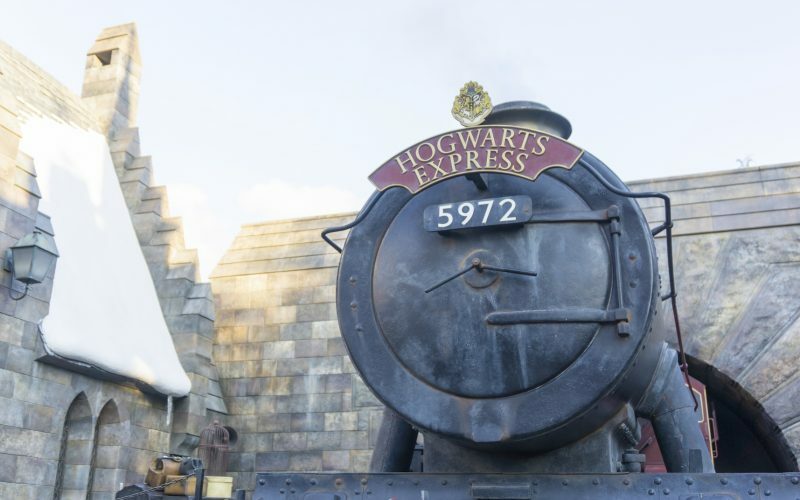 Here you'll find the world's best ride, a wizarding wonderland and guardian minions. As if you needed another reason to visit Osaka. 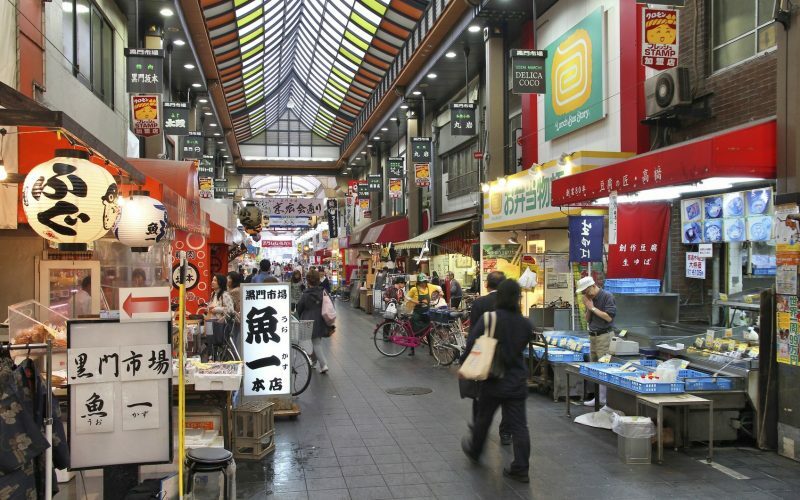 Don’t miss this old-fashioned covered market stuffed with 170 shops hawking Osaka’s best (and strangest) specialties.